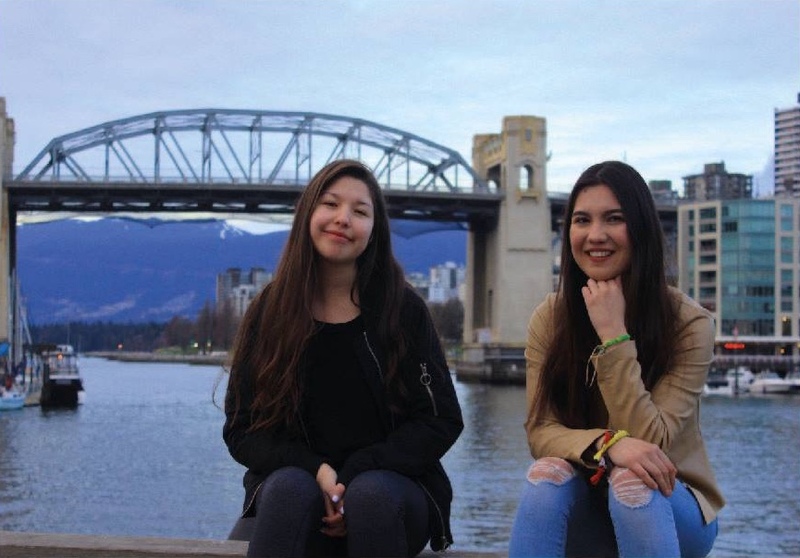 Increasing Indigenous votership and political involvement in Vancouver. Moving away from presenting Indigenous issues as problematic, we aim to entice the newest generation to politically engage with our Rise Up! Vote campaign through educational means and direct engagement. We aim to increase the number of Indigenous votership, and political involvement in the next Vancouver elections. 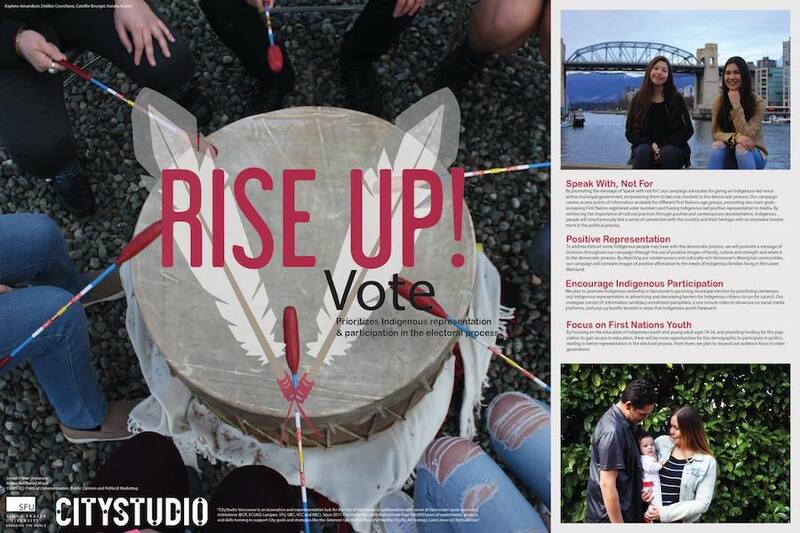 Utilizing both social media, print media, videos and pop up stands we aim to target Indigenous audiences through a timed release campaign to create excitement and information on how to get involved as voting day approaches. We aim to speak with, not for the Indigenous populations. This will be an ongoing battle and our project is merely a first step of many. We have begun discussions with an animator about the creation and costs for the production of the video which will unpack the roles and responsibilities of the Mayor and trustee positions. We are hoping to solidify partnerships to invest in print and social media campaigns to pay for production and distribution costs.